There are many of cheap NAT OpenVZ VPSes on market. 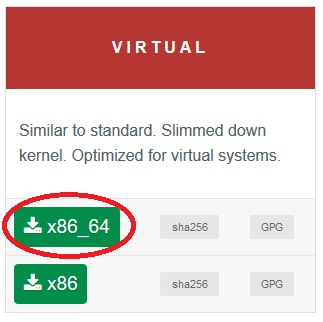 However, OpenVZ virtualization has certain limitations and comes with old 2.6 kernel. Hosting provider can decide to disable tun/tap, nfs or another core feautures, which makes VPS very limited in usage. At this article we will break the rules and run latest Alpine Linux inside Debian OpenVZ 2.6.32-042stab134.8 container with 256mb RAM. Alpine is a lightweight system, which is good for slow machines. Download any VNC viewer. We will need it for initial setup. I use standalone version of RealVNC on Windows. UPD. You can use -curses QEMU option instead of VNC. Download the latest Alpine ISO optimized for virtual machines. This command will run VM with userspace TCP/IP stack – SLIRP, which is very handy for VPS without tun/tap support. 200 mb will be enough to start Alpine. Next, run VNC viewer on port 51221 and login as root without password. Before installing Alpine, we need to setup resolv.conf, so VM can use google DNS instead of one provided by QEMU DHCP server. We can not use QEMU “-netdev dns=addr” option – for some reason it’s not working. Alpine comes with vi editor out of the box. Practice with it a little bit if you don’t know what is it. Create resolv.conf file containing google DNS record. Alpine comes with udhcpc DHCP client, which will overwrite resolv.conf with QEMU DNS by default. Let’s disable this feature. Create udhcpc.conf with only one line. Run Alpine again, but disable VNC and enable ssh port redirect. That’s all. Virtual machine is ready to use and accept ssh connections by external IP and 51222 port. ICMP traffic is not working over SLIRP. Workaround is here (Enabling ping in the guest, on Linux hosts). Or use virtual tap device if possible. Cheap VPSes are comes with CPU limitations often. To limit CPU usage I use cpulimit. Run QEMU with 50% CPU limit.